, winning the award just two years after it was named AdNews Emerging Agency of the Year. 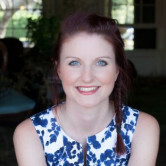 Speaking to AdNews editor Rosie Baker, Bohemia founder and CEO Brett Dawson talks about the agency’s trajectory over its four years in business, milestones, lessons along the way and the impact that winning those accolades has had on the agency. The AdNews Agency of the Year Awards are currently open for submissions. The deadline is 19 January. Bohemia is four years old, how has the agency evolved from when you first started out? Brett Dawson: The first thing to say is what you start out to be and what you become are often quite different. That's not to say that we’re not happy and proud of what we are. Year one was belief and hustle – that’s what built this business. You’ve got to have a business idea and you’ve got to believe in it because if you don’t, no one else will. And you’ve got to hustle like no tomorrow. Beg, plead, borrow and call in any favour you can to get some runs on the board and get some case studies. I think the biggest thing we learned in that year was who we are. Both Chris [Christofi – co-founder] and I as leaders, but also who we are as a company and what we’ll do for our clients. How did you go from starting out to building a brand and a reputation and growing the client list? Open Colleges was our only real foundation client and we quickly won Harris Farm in a pitch and it went from there. Year two was much more considered growth where we actually went from hustle and taking anything, to being very targeted in the work we wanted. We knew the sort of company we wanted to be and we focused on what clients would allow us to do that sort of work. We knew who we were as a brand. [Chris and I are] both brand guys, so we spent a fair bit of time working on our own brand which was nice. When you’ve spent a whole career working on clients’ brands it’s kind of cool to get to do it with your own. We actually changed our logo and the entire identity in our second year, developed a brand new set of credentials and went out and targeted the right sort of clients. A lot of the business we won that year was direct, without a pitch. What we found was our success came when we went direct to a CMO, when we’d done a piece of thinking on their behalf, and what they saw was something they wanted from a media agency. It wasn’t that they were necessarily reviewing. What was the turning point for Bohemia? We also learned how to pitch the Bohemia way, and that was a really big lesson. I’m sure a lot of agencies all pitch the same way so we spent a lot of time on crafting our story. We won our first two major pitches - Aspen Pharmaceuticals and The Travel Corporation - and we’d just been appointed (without a pitch) to the Vodafone strategic business and entered the AdNews Emerging Agency of the Year. There were 20 of us in the agency, we were about to move office [to the current Ultimo location], we’d signed a lease on a warehouse that fits 80 people. We’re actually full now, so we've got to move [to a bigger site] soon. We took a table at the awards and I thought I’d take a few key staff and key clients who had believed in us. I was happy enough just to see Bohemia Group on a table. We were right next to Clemenger and DDB and I was thinking, “These are two big global advertising powerhouses” and Al Crawford [executive planning director at Clemenger BBDO] looked over and said, “Good luck, mate. We’re rooting for you.” And I was just like yes! That’s a win in my eyes just for us to be there. We were two years in, we were finalists and we had a table, and then, we won. I completely didn’t expect it. It was amazing. It was a great validation for those key clients who had believed in us but most importantly in the staff who had left the big cushy multinationals to come and join a little startup media crusade. So it was an unexpected victory - what impact did the AdNews Emerging Agency of the Year have on the business? We were on pitch lists all of a sudden. I didn’t need to fight to get on them, we were on them. But again, we went up to the right sort of client who would allow us to do the work that we wanted to do where we had a great relationship with someone senior enough who valued media thinking and who was willing to pay for it. We’re a data and strategic-led media agency and I'm not making money on value banks or kickbacks or anything like that. We’re 100% transparent so we’ll earn our money through fees, through overhead and through performance-based payments and that attracts a certain type of client. Last year, in Bohemia’s fourth year, you were named AdNews Media Agency of the Year. What lessons have you learned along the way trying to keep the culture of a small agency while growing quickly? I made a few mistakes in year three when we probably pitched for too many [accounts]. Pretty quickly we went from around 20 people to nearly 60 staff in the year. So we grew up - we’re still growing up but we’ve gone into a consolidation year. We declined more pitch opportunities than we accepted in 2015 and we won eight clients including Caltex, Youi, Unibet, Pandora and News.com.au. Winning AdNews Agency of the Year, what it's done for us, is allowed us to attract great talent. To win AdNews Agency of the Year, I think you need three things. We needed to one; have commercial success; two, we needed to prove the ability to attract the right talent and keep the right great talent; and three, to be able to harness that talent to deliver work that’s worthy of the accolade. 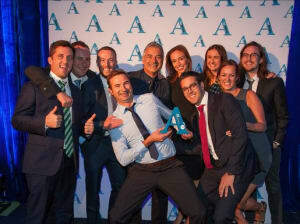 Was winning AdNews Media Agency of the Year something you expected for the team? Again sitting there [at the awards] with the team, we didn’t expect at all to win against UM and Match. They’re the two that we’ve gone head-to-head with over the last couple of years. There’s fairly good camaraderie between us. We just want a fair game and if we’re fairly beaten, well, that’s that, as long as whatever agency is awarded is actually doing good for the category in the industry, I'm very comfortable with it. I think if they’re taking from it, I would not feel as happy with the result. They said they wanted to use it as an opportunity to do the right thing for us as staff and our clients, and that’s at the heart of this brand. What drives our decision-making is what’s right for our Bohemians and what’s right for our clients. I don’t have a holding group or a holding company to worry about. [STW Group currently has a non-controlling stake in Bohemia]. We used it as an opportunity to champion our crusade on transparency. We are living proof that a transparent agency can be the best agency in the country and that you don’t need to operate in a way that our category often operates. It’s not like we’ve outwardly gone out and exposed it, that’s not the way we do it. The Bohemian way is to lead by doing rather than saying. Taking its name from a word that means avant-garde or unconventional, Brett Dawson's goal alongside co-founders Chris Christofi and Peter Leaver was for Bohemia to be a different kind of media agency. Now four years down the track, Bohemia is the current AdNews Media Agency of the Year, winning the award just two years after it was named AdNews Emerging Agency of the Year. Can Bohemia's Brain strike again this Melbourne Cup day?